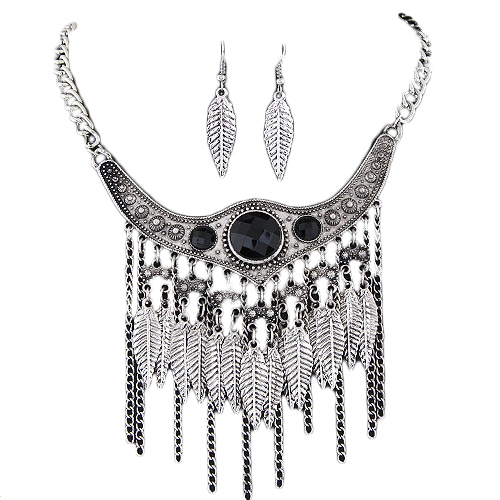 You will fall in love with Geri Boho Necklace Set that consists of a fringed necklace and leaf-shaped drop earrings. The silver-tone necklace features faceted black stones, fringed and leaf-shaped dangling details. Buy this 'must have' necklace set of boho jewellery online today at lowest price guaranteed.